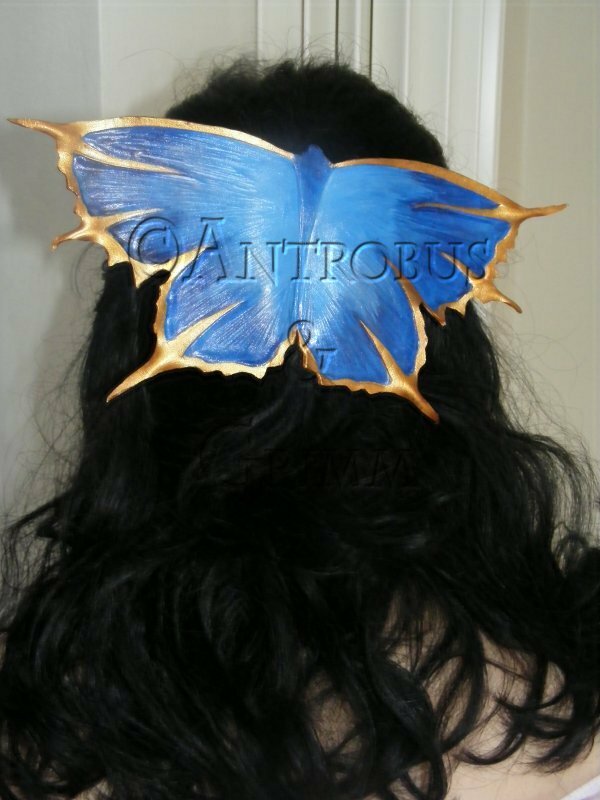 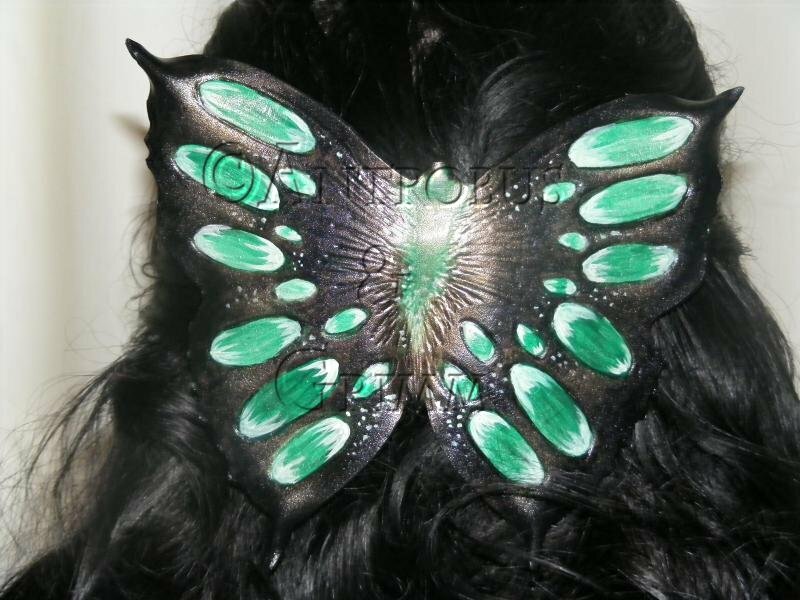 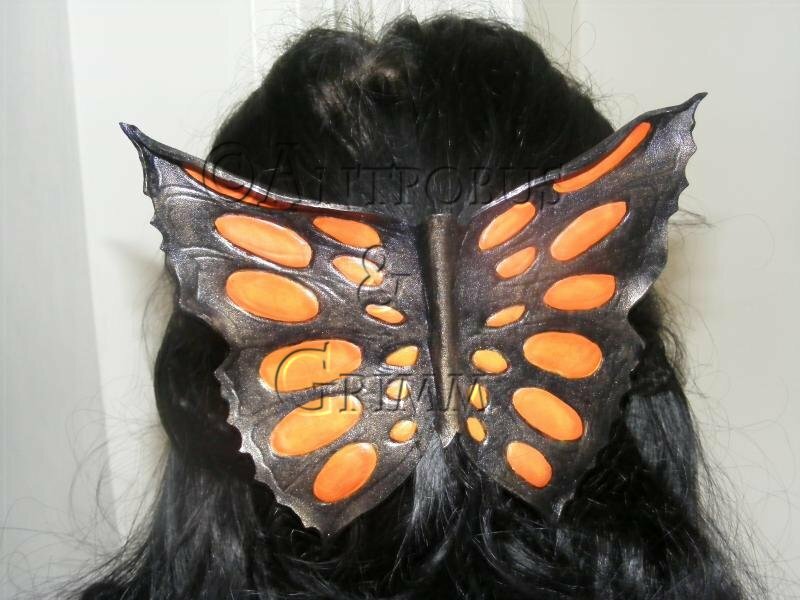 Make a statement with this beautiful large hand carved and painted leather butterfly mounted on a plastic hair comb. 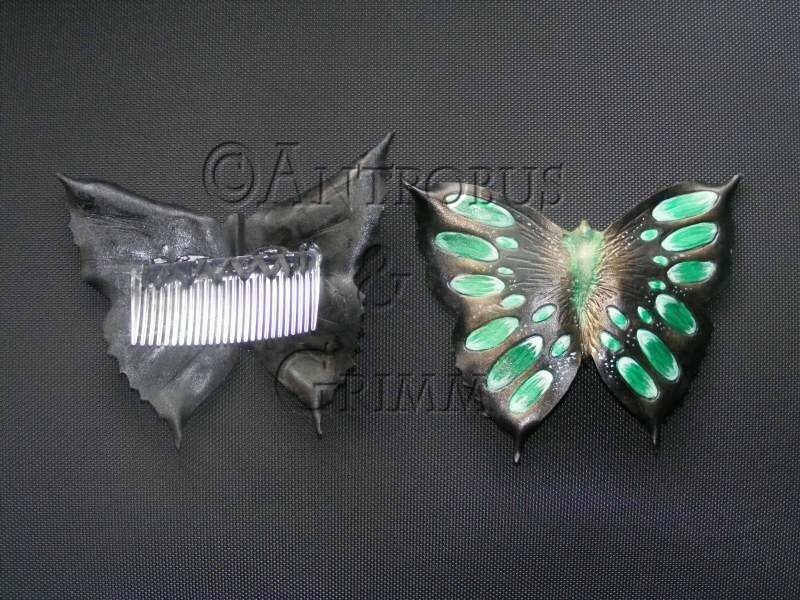 This one of a kind choker is hand made from leather which encases a haematite stone and is worn with a silver necklace. 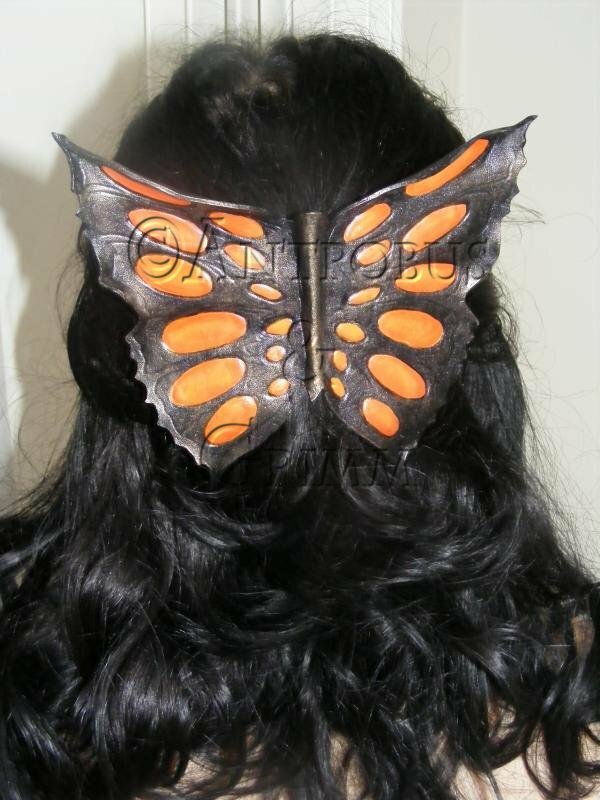 To purchase this item please use the email link below. 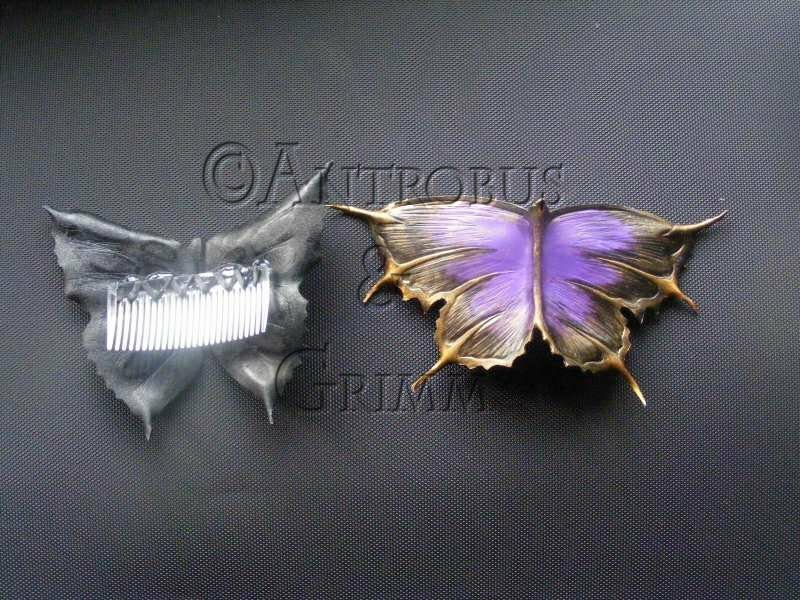 It is one of a kind item and will be sold on a first come first served basis. 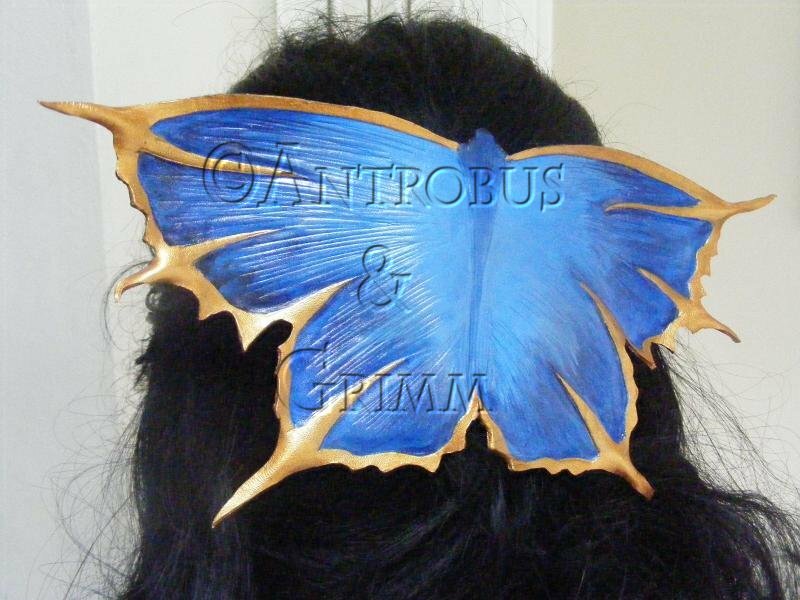 To purchase this item E-mail at info@antrobusandgrimm.co.uk.